Almost all beer gardens are closed during the winter months. So when exactly does the beer garden season begin and end? It depends on the weather, but usually the season begins in May or June and lasts until the end of September or October. Generally speaking, the beginning of the Oktoberfest marks the end of the beer garden season. 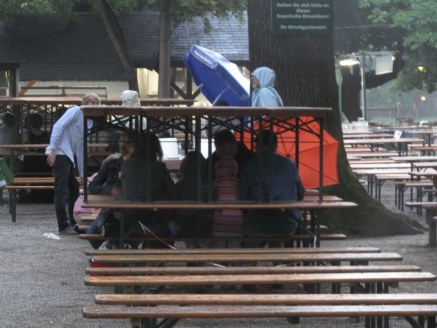 The self service area and food stalls in most beer gardens do not open during bad weather. After all, who wants sit in the beer garden when it's raining? This page was last modified on 5 August 2018, at 14:49.